Music executive and former Psquare manager, Jude Okoye is confused about male barbie, Bobrisky's gender. 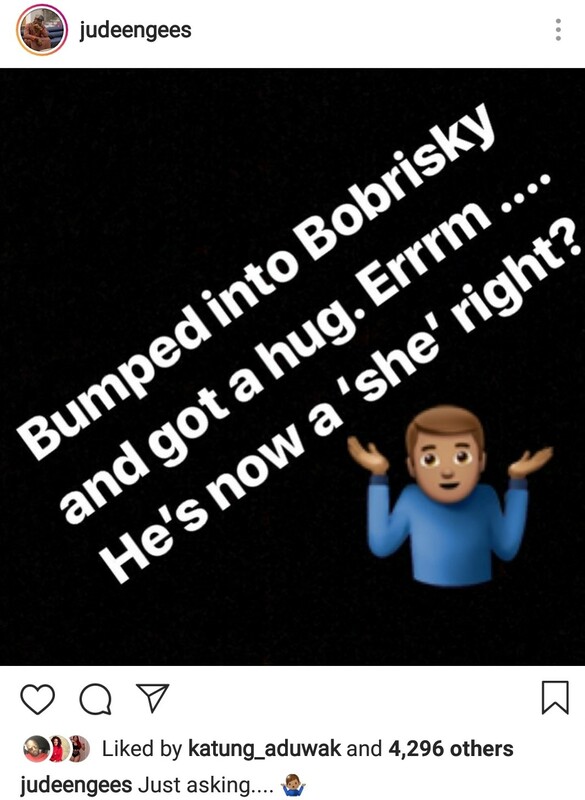 According to Jude, he bumped into Bobrisky and got a hug from him. 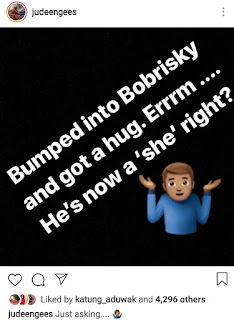 He was confused afterwards and took to Instagram to ask if Bobrisky is now a 'she'.